WrestlingDVDNetwork.com has your exclusive first look at the cover artwork for WWE’s 2017 “NXT: From Secret to Sensation” DVD! While this reveal certainly is official, only a low quality shot of the cover (below) is available right now. As such there might be some tweaks made soon, so consider it a first draft. As of today product listings have surfaced here on Amazon.com where fans in the United States will be able to pre-order soon, while fans in the UK can already reserve a copy through Amazon.co.uk. “NXT: From Secret to Sensation” is incoming as both a 3-disc DVD and a 2-disc Blu-ray collection. The documentary-led set now has a confirmed release date of November 14th. That documentary will explore the history of NXT and reportedly count down the 25 greatest Superstars to pass through the developmental brand. Expect to see a slew of bonus matches included too. There were rumblings of a box set also in the works for this title; a “Giftset” which would include the DVD and presumably some exclusive NXT merchandise. This version has been referenced in official information for the first time this week, however doesn’t appear in Amazon’s listings. We suspect that details are still be being finalized on the Giftset; it could even be a store exclusive. WWE: NXT – From Secret to Sensation on DVD, Blu-ray & Giftset 11/14/17! In recent years, NXT has emerged as an incredible box office draw for WWE with sold out live network specials from Brooklyn to Dallas to the United Kingdom! But things weren’t always this way: watch WWE’s “developmental” system churn out future Hall of Fame superstars and grow from its underwhelming infancy in Louisville through 2017! A countdown of the greatest NXT superstars of all-time, featuring brand new exclusive interviews with all the major stars (current & former) that helped make NXT into a unique and popular brand. 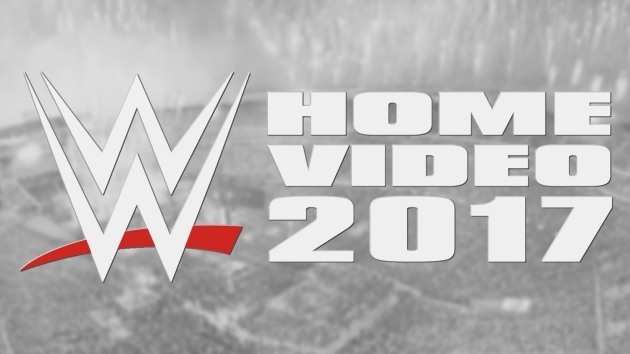 Along with NXT more Home Video release dates have been revealed for November 2017! The new dates have been added to our WWE DVD Release Dates page which now lists all upcoming titles that are confirmed on the way in the U.S. from August to the end of November. Interestingly, the NXT DVD and the “Double Feature” pack currently share the same street date. I could see them including some matches from the NXT house shows like the one where Joe beat Balor for the NXT Title and Nakamura beating Joe in Japan. Those would be some pretty cool gems. Its possible they were recorded as they aired on NXT television. Nakamura beating Joe wasn’t a house show. It was a TV taping. It was the December 28, 2016 episode. They aired 5 matches from the Japan taping. I bet there will be repeats from the first NXT set. Ridiculous if there is. This new set shouldn’t have not even 1 match from the other set but it probably will. Repeats? unless you have the WWE Network then of course there will be matches included from there as every episode of NXT and every Takeover are there. What are suppose to do? include strictly house show fan cam matches where people here will complain about lack of commentary and quality….because that worked soooooo well with Attitude Era Vol. 3. Most of the time with WWE if another volume is released they tend not to include those previously released matches. That’s not what he said… He isn’t worried about matches from Takeover or NXT episodes. He is worried about direct repeats from the first set, an unlikely fear. Uh yeah I’m talking about NXT greatest matches volume 1 not anything from the network but apparently some people can’t read. This set and the double feature will fall on my birthday. What a gift for me from myself lol. In all seriousness though if the set has exclusive content i.e. Unreleased or documentaries like the above they’re still pretty cool and worthwhile. Better still if they’re on Blu-ray. Hey Daniel, any news on the WWE possibly releasing the all Takeover events as I remember it was mentioned here a while back….could that possibly be the giftset? What a bizarre comment and not even in response to anyone. Why would anyone care that you’ve not been on the site for a while? I mean, who the F are you anyway? I haven’t been this excited for a release since the first NXT Blu Ray. I cannot wait to see the match listing for this!